Introduction: In my academic career to-date, my research group and I have presented over 170 abstracts at international science, medical and education meetings. These abstracts have been poster presentations, short-program talks or invited plenary session presentations (to view a sample of my research group presentations, click here:Church.Frank_SelectedAbstracts.2015). Abstracts represent the best science from research laboratories; they are like invitations to look over what we study science-wise. Presenting abstracts could result in a news organization describing it to the public. At the recent Neuroscience 2015 meeting, the following abstract was presented (click here to read it: Abstract.GeorgetownStudy): “Nilotinib significantly alters blood and CSF α-Synuclein and p-Tau levels, inhibits dopamine breakdown and increases neuro-restorative markers in an open-labelled Parkinson’s disease with dementia and Lewy body dementia trial.” Over the past few weeks (Google search “Leukemia drug and Parkinson’s” or “Nilotinib and Parkinson’s”), several news and science organizations have written about this study with much fanfare and with necessary reservations. Below are my observations on the science of Nilotinib [Pronunciation: nye LOE ti nib (Brand Name: Tasigna)] for treating Parkinson’s; hopeful for its potential combined with concerns. Science of Gleevec and Nilotinib in treating chronic myelocytic leukemia (CML), the “Philadelphia Story”: CML is a leukemia (blood cancer) from a deranged bone marrow stem cell, the progeny expand to displace all normal bone marrow. CML is characterized by the presence of the Philadelphia chromosome (Ph) in the leukemic cells. Clonal expansion leads to deranged overproduction of white blood cells by subordinate cell lines. Each year in the USA, there are ~5800 new CML cases with ~600 deaths; CML accounts for ~10% of all new cases of leukemia. The Philadelphia chromosome (Ph) was first described in 1960; yes, it was discovered in Philadelphia. The Ph chromosome is a reciprocal translocation involving chromosomes 9 and 22: t(9;22) (q34;q11) [cutting and pasting together chromosomes, not a good thing to happen]. The chromosomal rearrangement of Ph brings two cell-signaling substances together (they are named Bcr and Abl); the fused-chimeric Bcr-Abl gene has “unnregulated” tyrosine kinase activity. Bcr-Abl is necessary and sufficient to cause CML. This fusion Bcr-Abl interacts with many signaling pathways and it keeps the cell proliferation (growth) machinery on and cell differentiation (maturation) machinery off. The action of Bcr-Abl would be like having both feet on the car’s accelerator (go-go-go) with no control of the brakes. Ultimately, the result of the Bcr-Abl fusion is to speed up cell division. Imatinib (Gleevec) was found to be a novel and potent inhibitor of Bcr-Abl. Gleevec inhibits growth of Bcr-Abl positive cancer cells; it is orally bioavailable and well tolerated by most CML patients. Gleevec was the first drug of its kind used for directed-chemotherapy. Nilotinib is a second-generation Bcr-Abl inhibitor used to treat CML; including those people whose disease could not be treated successfully with Gleevec or people who cannot take Gleevec. Science of Nilotinib in treating Parkinson’s: The cell signaling protein c-Abl (tyrosine kinase) is involved in numerous cellular processes. Its cancer-related fusion counterpart, Bcr–Abl protein, promotes leukemia. In 2010, Johns Hopkins scientists reported that c-Abl was up-regulated in Parkinson’s; which led to a build-up of denatured proteins that promoted neuronal cell death and the progression of Parkinson’s (http://www.ncbi.nlm.nih.gov/pubmed/20823226). 1. Parkinson’s develops from a loss of dopamine-producing brain cells. 2. These cells accumulate a protein named alpha (α)-synuclein that aggregates in the cell, which stresses and ultimately leads to death of the cell. 3. The physiological process responsible for clearing out this cellular debris is known as autophagy (see schematic below for an overview of autophagy). 4. A protein named parkin protects brain cells by enabling autophagy, (http://www.ncbi.nlm.nih.gov/pmc/articles/PMC2592826/). The action of autophagy is kind of analogous to the garbage disposal in your kitchen sink. 5. c-Abl ‘labels’ parkin and this modification inhibits parkin function. 6. c-Abl up-regulation in Parkinson’s would leads to parkin dysfunction; Without autophagy activation, toxic parkin substrates (AIMP2 and FBP1) and denatured forms of α-synuclein accumulate and the dopamine-synthesizing cell dies. 7. This implies that inhibition of c-Abl could be neuroprotective. 8. To recap: over-activation of c-Abl prevents parkin from promoting autophagy, allowing for a build-up of toxic substances that can kill brain cells to begin the progression of Parkinson’s. 9.Two newer studies using animal models of Parkinson’s showed that brain-penetrating c-Abl inhibitors were neuroprotective (see http://www.ncbi.nlm.nih.gov/pubmed/23741470 and http://www.ncbi.nlm.nih.gov/pubmed/24786396 ). Nilotinib may be a molecular Drāno in treating Parkinson’s: With this background story, let’s visit the Georgetown abstract/results. Dr. Charbel Moussa and Dr. Fernando Pagan led the pre-clinical research study. Reminder: Nilotinib is a second-generation Bcr-Abl inhibitor used to treat the blood cancer CML. Thus, their initial goal was to test the safety of Nilotinib in treating patients with Parkinson’s and Lewy body dementia. 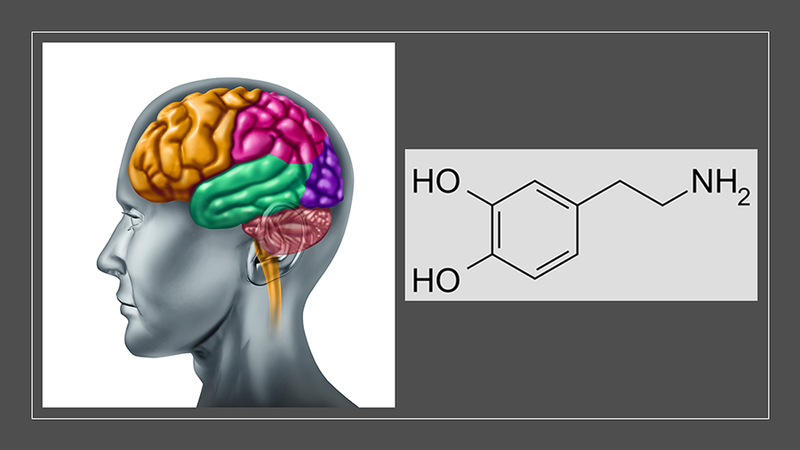 If Nilotinib was safe and well-tolerated, a second goal was to measure motor skills and cognitive function. This was a small phase I clinical trial with 11-12 patients receiving Nilotinib for 6 months (150-300 mg/day). Why was there so much excitement in this preliminary drug study? Because treatment with Nilotinib actually improved and, in some patients, reversed impaired motor skills, non-motor functions, and cognitive functions in Parkinson’s and Lewy body dementia patients. Some of the more remarkable changes from 6 months of treatment with Nilotinib included three individuals unable to speak before could now hold conversations, and one individual previously confined to a wheelchair could now walk again. Nilotinib was used at a lower dose (150-300 mg/day) then recommended for treating CML (800 mg/day). The higher dose would promote cell death during treatment of Bcr-Abl-positive CML cells. By contrast, the lower dose would inhibit (not kill) c-Abl-positive neuronal cells. They hypothesize that the lower dose initiates autophagy to remove toxic proteins in the absence of cell death. It would be analogous to Nilotinib being a molecular Drāno. In household use, you pour Drāno into a clogged drain, wait a few hours, wash with hot water, and the result is an unclogged drain. Closing comments from a scientist with Parkinson’s: This study using the cancer drug Nilotinib to treat individuals with Parkinson’s and Lewy body dementia both excites me and worries me. First, the results were very preliminary; let’s see how the planned 2016 studies turn out (this time with controls). Second, there are potential adverse side effects of Nilotinib (http://www.fda.gov/Safety/MedWatch/SafetyInformation/ucm218929.htm), which when added to the side effects of the existing arsenal of Parkinson’s therapies, it could be somewhat problematic. Third, Novartis claims the cost of Nilotinib for CML chemotherapy (800 mg/day) is ~$10,000/month. While the dose used in this study was less (150 and 300 mg/day), off-label use and cost could be problematic for many individuals. Fourth, the idea of re-engaging autophagy to clear out toxic substances to rejuvenate the neuron is intriguing; however, much basic science is needed to validate this hypothesis. Finally, if there was ever a “good time” to have Parkinson’s, it may be now. We have taken giant strides in our understanding of the pathophysiology of Parkinson’s. There are numerous clinical trials currently underway testing novel therapies. I can’t wait to read these innovative biomedical and clinical trial abstracts in 2016-2017. We must remain hopeful that we are on the cusp of several new treatment strategies to halt the progression of Parkinson’s.